Relocating? Upgrading? Downsizing? Perhaps you’re in the market for a new home, but aren’t sure you’re ready to sell your current one. Maybe your move is temporary and you plan to eventually return, or perhaps you’re not sure about selling at this time. So you’re considering keeping your old house and renting it out to tenants. Renting out your home can be a smart investment—you may be able to cover your old home’s mortgage and then some. But being a landlord does have some strings attached. For maximum success, you’ll want to make sure you’re an educated investor, plus ready for some of the challenges renting out a home entails. Part of being a landlord means handling repairs. If a tenant calls and says the water heater isn’t working, will you be able get out there and fix it that day? If the repairs require a specialist, you’ll want to have a list of plumbers, electricians, etc. on hand. If you live out of state, you’ll need to hire someone else to handle repairs. You’ll want to keep an eye on your property to make sure there aren’t major problems going on (whether due to tenants not taking care of things, or things falling into disrepair over time). If you don’t live close enough to check regularly, you may consider hiring a property manager to do this for you. Check with your insurance company before you rent to find out whether you’ll need additional liability coverage. Be honest—are you okay with the thought of a dog or cat having accidents on your carpet? You’ll need to think through what pets you will or won’t allow, whether there’s a limit on number or size, etc. How will you collect your rent? By mail, in person, or through a third party? Consider how you’ll respond when your tenant doesn’t pay on time—or what happens if he can’t afford rent one month because of a financial emergency (legitimate or not)? While you hope you won’t need this information, you’ll need a plan for what happens when a tenant refuses to pay rent, causes damage to your property, etc. You may need to talk to an attorney who specializes in evictions to draft a course of action. If you’re prepared to handle these challenges, great! We hope your rental is a great investment for years to come. Not sure you want to rent your home? 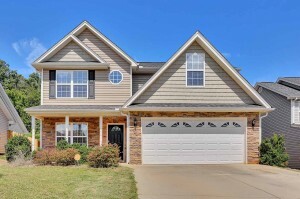 No one in the Greenville area sells homes faster or for more money than The Haro Group. Give us a call and we’ll talk you through the best options for you.